What Does SFP Stand for And How to Use It? ← What’s DAC Cable And Why Choose It Over Fiber Transceiver? 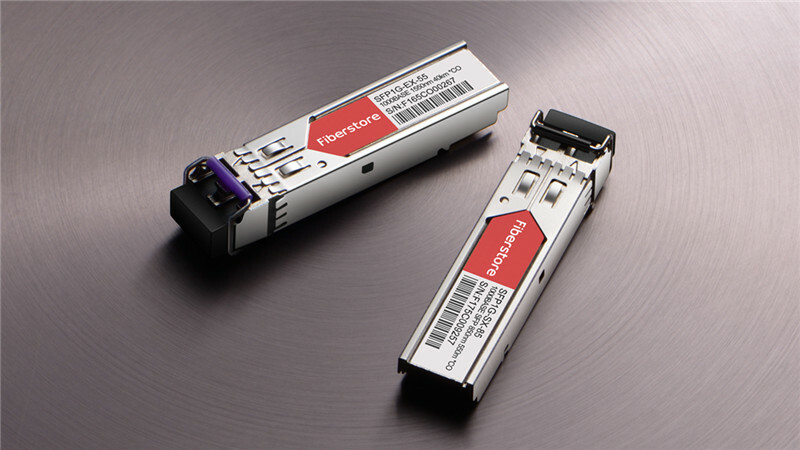 With the increasing demand for higher bandwidth, multiple types of transceiver modules are designed for data transmission, including GBIC, SFP, SFP+, QSFP and so on. Well, what do GBIC, SFP, SFP+ and QSFP stand for? Among them, SFP has been used in popularity for over 15 years. This article will give an answer about “what does SFP stand for?” and tell you how to use it. What Does SFP Stand for in Networking? SFP stands for small form-factor pluggable. It is a compact, hot-swappable optical transceiver module that used in telecommunications and data communications networks. Instead of being standardized by official standards, SFP is specified by the multi-source agreement (MSA). MSA is an agreement between many different transceiver manufactures to make standardized products. So the SFP is compatible across a range of telecoms vendors’ hardware. And SFP module is designed to support synchronous optical networking (SONET), Gigabit Ethernet, fiber channel and other communication standards. In addition, SFP module can be categorized into various types under Gigabit Ethernet standards and industry-accepted standards, including 1000BASE-EX, 1000BASE-ZX, 1000BASE-SR and so on. Figure 1: what does SFP stand for? To understand the difference between SFP and Mini GBIC, we’d better get to know GBIC first. GBIC is short for gigabit interface converter, which is a hot-swappable transceiver developed in 2000. However, with the demand for higher bandwidth and faster transmission speed, Mini GBIC is developed. Mini GBIC was appeared in 2001. Just as its name, Mini GBIC is similar to the former GBIC in function but with a smaller form factor. Actually, Mini GBIC and SFP transceiver module refer to the same thing, which has replaced GBIC in most applications for the small size. SFP, also known as Mini GBIC, is a upgraded hot-pluggable module that can be installed and removed easily. It provides flexibility for the transmission in both data and telecommunication applications. In general, SFP and Mini GBIC are interchangeable, but the name of Mini GBIC is not officially defined in the MSA. How to Use SFP Ports on Switch? Fiber SFP – When SFP ports on switches are inserted into fiber SFP module with optical port, fiber optic cables (SMF fiber / MMF fiber) with duplex LC connector are needed to support the connection. SFP DAC/AOC – DAC consists of twinax copper cable with SFP DAC connectors on either end. AOC is defined as an fiber jumper cable terminated with SFP AOC connectors on either end. So the SFP DAC/AOC on the DAC/AOC cable can be inserted directly into the corresponding SFP ports on switch. 1000BASE-T Copper SFP – When the SFP ports are plugged by 1000BASE-T copper SFP with electrical port, the network cables such as Cat5e must be used for 1Gbit/s data transmission. What’s more, it is ideal for short reach distance less than 100m. BiDi SFP – Unlike traditional optical transceivers, BiDi SFP module is fitted with wavelength division multiplexing (WDM) diplexers. It combines and separates data transmitted over a single fiber based on the wavelengths of the light. So It has only one port to transmit and receive optical information on separate wavelength and supports a transmission distance up to 120km. After reading this article, have you got the answer for “What does SFP stand for”? SFP module is a flexible and necessary device in fiber optical connections. When you choose SFP modules in the market, you’d better consider the corresponding switches and cables for the applications. FS.COM provides high-quality network switches, fiber cables and compatible SFP modules. If you have any needs, welcome to visit FS.COM. This entry was posted in SFP transceiver and tagged compatible SFP modules, mini GBIC, sfp transceiver module. Bookmark the permalink.